Iron Arrow Consulting (IAC) is collaborating with AWS through AWS CloudStart to help organizations in Turkey build their public sector solutions. AWS CloudStart supports Economic Development Organizations (EDOs) by providing resources to educate, train, and embrace the cost-effective options that AWS cloud computing services can offer to firms whose products, solutions, and services are for the public good. IAC’s core mission is to enable organizations to form and implement their international launch strategy. As part of their support, IAC helps firms assess their preparedness for international expansion, providing next steps to improve their market readiness in a time efficient and cost-effective manner. “We assist innovative tech firms to effectively communicate their value proposition and explain the ‘so what’ and ‘why us’ to their customers. Innovation often comes from small and medium enterprises (SMEs) which is why IAC has chosen to invest in them; however, SMEs need resources to test their value proposition. What AWS CloudStart enables firms to do is giving them the ability to test their value proposition for free and adapt their businesses according to the early adopter feedback at a faster rate than was attainable previously,” says Sıla Demirok, Founder of Iron Arrow Consulting. 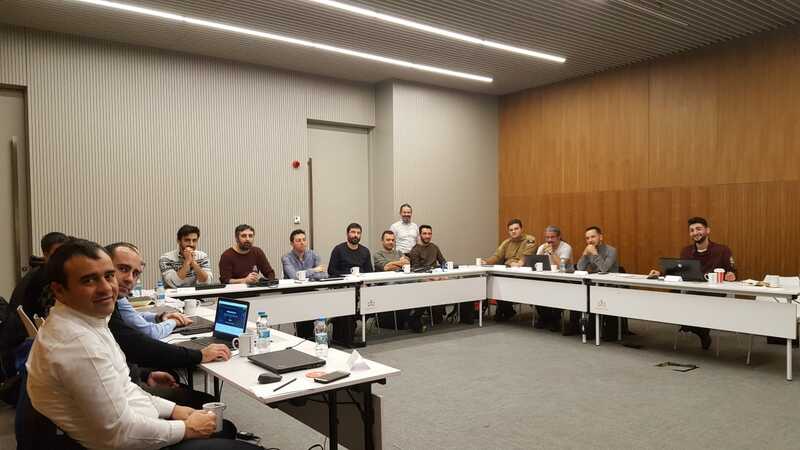 Recently, IAC delivered “Getting Started on AWS” trainings in Ankara and Istanbul to 23 developers from eight Turkish firms. IAC has a team of AWS certified trainers who have hands-on experience with AWS. The local training was delivered by the head of AWS Turkey User Group, Barış Bilen Vural. The one-day training consisted of three parts, including a general overview of AWS’s history and values, a demo on how to navigate the AWS Management console, and hands-on exercises. Participants were introduced to basic AWS terminology and concepts and then ended the day by diving into the console and testing out services like Amazon Elastic Compute Cloud (EC2), Amazon Virtual Private Cloud (VPC), Amazon Simple Storage Service (S3) and Amazon Elastic Block Store (EBS). The training continued with AWS Database Services, including Amazon DynamoDB, Amazon Relational Database Service (RDS), and other AWS management tools including Auto Scaling, Amazon Cloud Watch, Elastic Load Balancing (ELB) and AWS Trusted Advisor. The trainings also discussed use cases surrounding data security and Identity and Access Management (IAM). In addition to the in-person trainings, AWS CloudStart members are now able to access the Inside CloudStart portal. Inside CloudStart is a central location where members can access curated online content, case studies, and trainings. Visit the AWS CloudStart webpage to learn how the program is helping organizations around the world start their journey to the cloud.